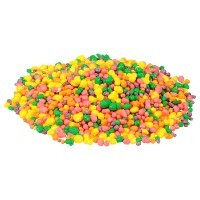 What says the holidays more than a giant bowl of candy? 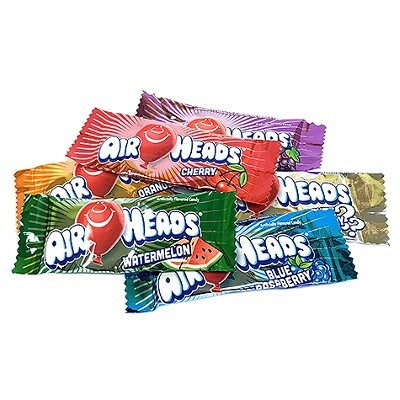 Airheads Mini Bars are a favorite American treat throughout the holiday season or any other time of year! This 25 lb. 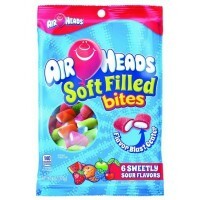 bag of Airheads will keep you well stocked on candy for any special occasion. 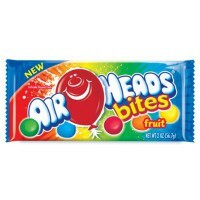 With six delicious fruity flavors --including a mystery one-- you will never get bored! 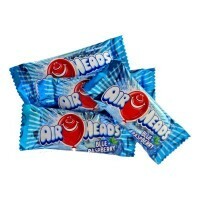 There are approximately 250 units per pack. Sugar, corn syrup, maltodextrin, dextrose, modified food starch (corn), partially hydrogenated soybean oil, water, acidity regulator E330, artificial flavors, colors E133-E129*-E102*. *May have an adverse effect on activity and attention in children. Contains GMO. Nutrition facts (for 100g): calories 400Kcal, total fat 4.3g (saturated fat 2.9g), total carbohydrate 88.6g (sugar 54.3g), protein 0g, salt 0.1g.